A small portable epilepsy alarm developed for smartphones. Epi-Care mobile ensures that an emergency call will be made to relatives or caretakers when a seizure occurs. GPS-coordinates of where the user is during a seizure is forwarded in a text message. Epi-Care free is a wearable epilepsy alarm that recognises tonic-clonic epileptic seizures. 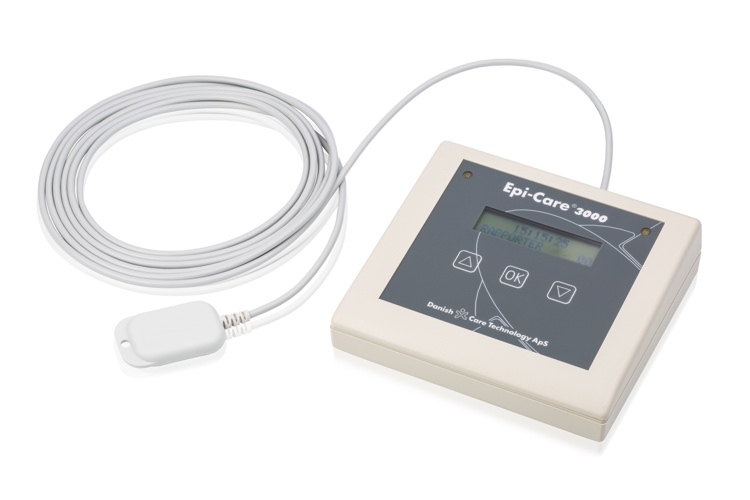 Epi-Care 3000 monitors tonic-clonic epileptic seizures during sleep. The sensor identifies a seizure by recognising the distinctive movements. It can even detect vague cramps during sleep, which makes Epi-Care 3000 a safe epilepsy alarm for children.